Mount the RJ1 Rotary Joint vertically by using a SM1RC lens tube slip ring, an RA90RS adapter, and Ø1/2" and Ø1" posts. Specified for patch cables with the recommended fiber core diameter and NA. 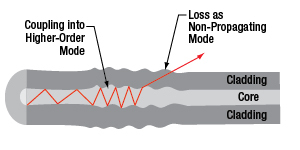 Specifications do not apply to single-clad multimode fibers with a Ø200 µm core and 0.22 NA, and those with a second TECS-based cladding should be used instead. For fiber-specific performance data, please see the Performance tab. Thorlabs' RJ1 1x1 Rotary Joint for FC/PC Multimode Patch Cables is a single input and output rotary joint with low rotational variation. Designed for use in optogenetics, the rotary interface allows patch cables to rotate freely when attached to a moving specimen, reducing the risk of both fiber damage and intensity fluctuations. Since patch cables are not permanently attached to the RJ1 rotary joint, damaged fibers can be replaced easily. This also allows for more flexibility than a one-piece solution, since the patch cables can be selected with a specific core, NA, and jacketing type to optimize an experiment. In particular, the input patch cable can be selected to match a specific excitation LED or laser source, while the ferrule of the output patch cable can be chosen to match a specific cannula size. 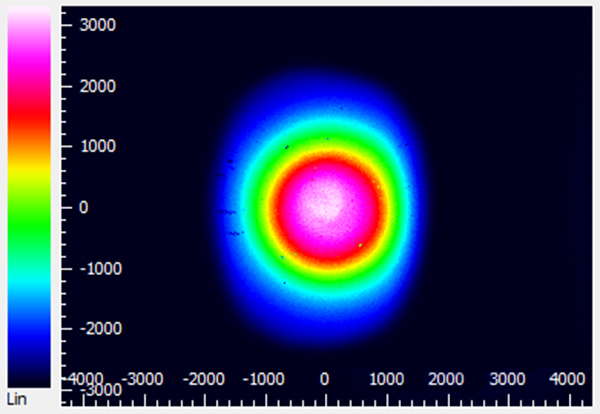 RJ1 1x1 rotary joint insertion loss measured using a SLS201 Light Source and an optical spectrum analyzer. The shaded region indicates the operating range. This rotary joint has been extensively tested for use with both LED and multimode laser light sources, as well as patch cables commonly used in optogenetics applications. 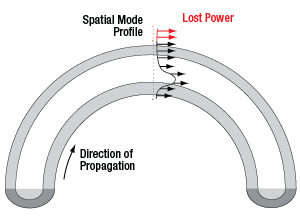 By design, when a fiber is inserted into either end of the rotary joint, the fiber tip is at the focal point of the collimating lenses. These large NA, color-corrected lenses provide achromatic performance and are well suited for use with LED sources that overfill the fiber NA. The RJ1 rotary joint is bidirectional and provides a typical total LED transmission of 60% that varies less than ±3.0% with rotation. The RJ1 rotary joint is tested and aligned during assembly using Ø200 µm core, 0.39 NA fiber patch cables and a M470F3 470 nm Fiber-Coupled LED. 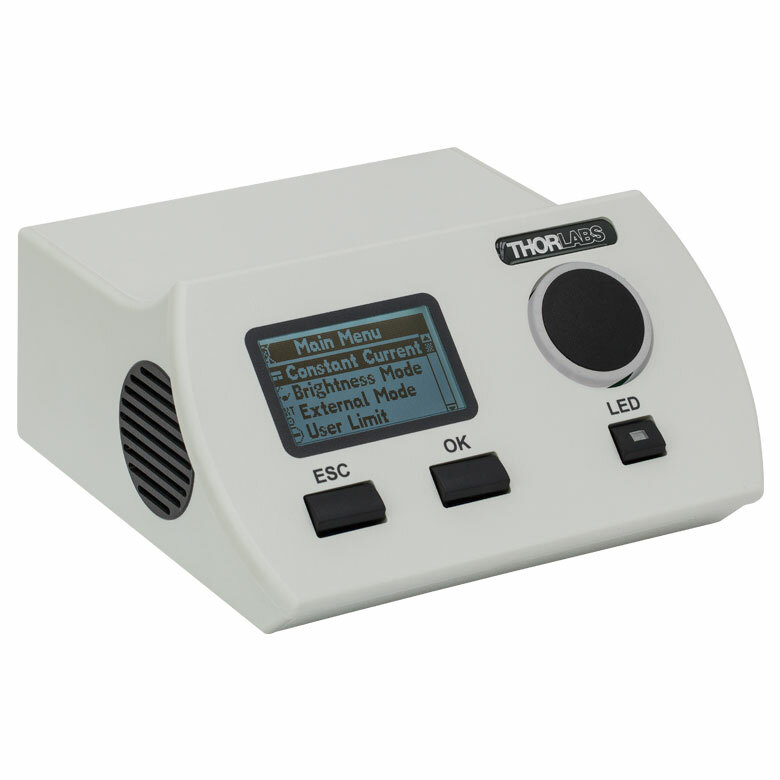 Thorlabs can provide custom rotary joints that are aligned and optimized using other patch cables or light sources; please contact Tech Support with inquiries. The mechanical design of the RJ1 rotary joint incorporates several features that help produce consistent optical performance across most application requirements. It includes precision bearings for extremely smooth rotation, long lifetime, and low signal strength variations as the joint rotates. A low start-up torque of <150 µN·m ensures that the joint will rotate freely as the specimen moves. The input and output ports have a high-tolerance insert that enables repeatable and optimized alignment between patch cables and rotary joint. A flat surface on one side of the housing allows a user to rest the RJ1 rotary joint on a table without rolling. 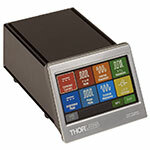 Thorlabs offers several options for mounting that allow the rotary joint to be held vertically. 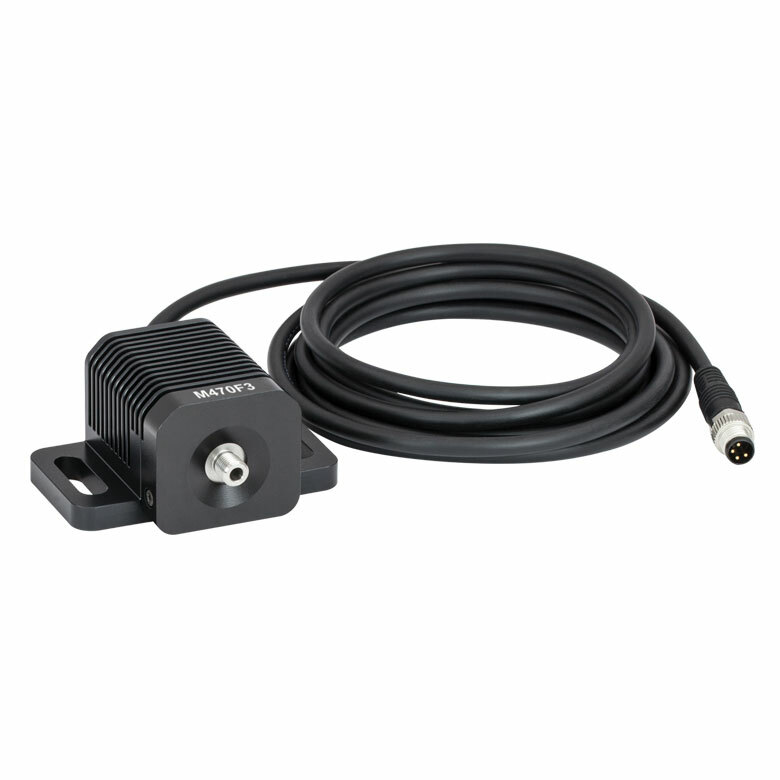 The rotary joint features external SM1 (1.035"-40) mounting threads on the input side for compatibility with our SM1-threaded fixed mounts. Alternatively, it can also be mounted directly via the Ø1.20" body using our SM1TC lens tube clamp or SM1RC lens tube slip ring. 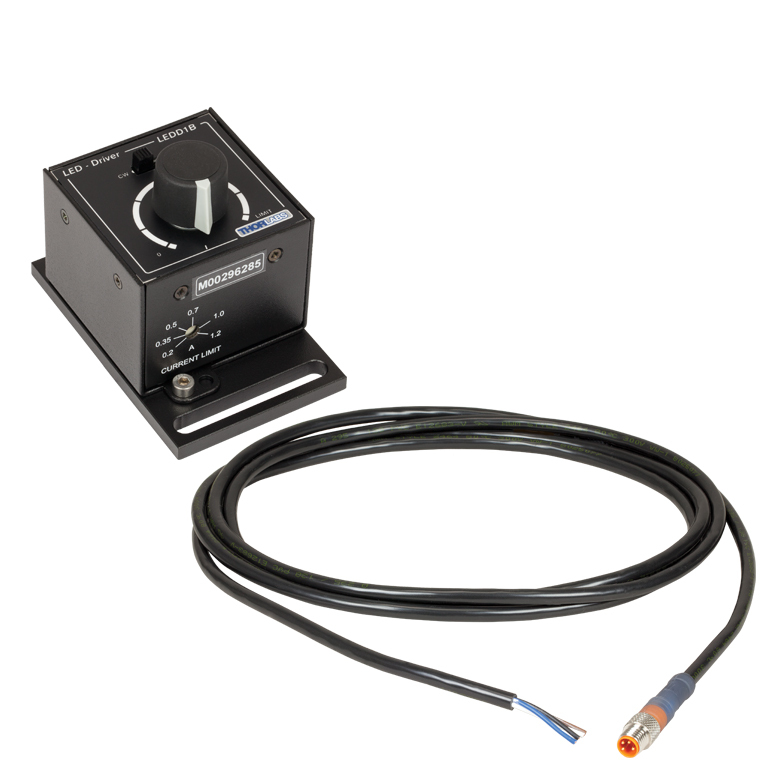 These mounting methods can connect directly to our optical post assemblies, which provide options for mounting and positioning that can meet the needs of many experimental configurations. 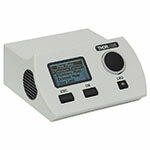 The input and output ports of the RJ1 rotary joint accept 2.0 mm narrow key and 2.2 mm wide key FC/PC connectors. For optimal performance, we recommend using multimode patch cables with a core diameter ≥Ø200 µm and NA between 0.22 to 0.50 (see the Performance tab for test data). Please note that the specifications of the RJ1 rotary joint are not guaranteed for Ø200 µm core, 0.22 NA, single-clad fibers and those with a second TECS-based cladding, like the FG200LCC and FG200UCC, should be used instead. For compatibility with our fiber-coupled LED sources, use a multimode hybrid patch cable with an FC/PC connector on one end and an SMA905 connector on the other end to connect the LED. On the output end, FC/PC optogenetics patch cables offer compatibility with our Ø1.25 mm and Ø2.5 mm cannulae via an interconnect or mating sleeve. To meet the performance specifications, fiber ends and connectors must be clean; dust or other contaminants will increase the rotational variance and decrease transmission. Thorlabs offers a complete line of fiber cleaning products specifically designed for terminated fibers, fiber connectors, and fiber bulkheads. The RJ1 rotary joint is a bidirectional device. The schematic shows the orientiation used for performance testing. For optogenetics applications, the intensity and stability of light that reaches a specimen is determined by how the transmission through a rotary joint changes with rotation. 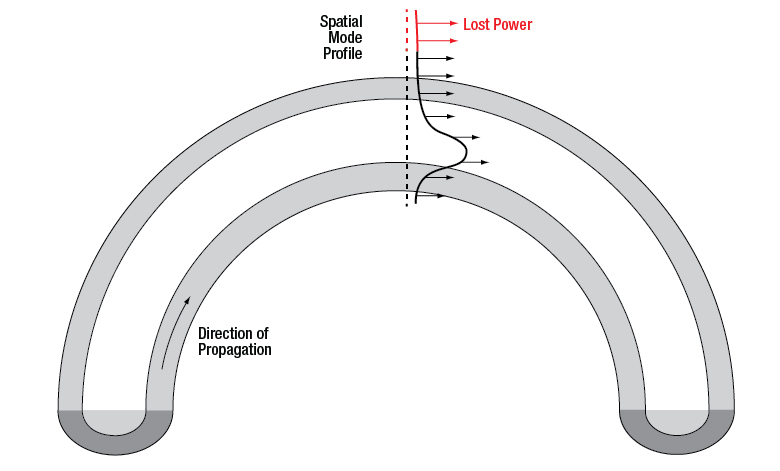 This can also be affected by the core diameter and NA of the connected patch cables, as well as the wavelength and beam divergence of the light source. In the graphs below, we show the typical transmission and variance of the RJ1 rotary joint with combinations of seven patch cable types and three light sources. The three light sources used in this test are the M470F3 470 nm LED, S1FC473MM 473 nm Multimode Laser, and a M590F3 590 nm LED. These test results indicate that the RJ1 rotary joint has consistent performance across multiple fiber types and input light sources. In general, higher transmission and lower rotational variation is observed when the RJ1 rotary joint is used with larger core diameter fibers. We also compare the transmission through the RJ1 rotary joint with that of a non-Thorlabs rotary joint. In our tests, the RJ1 rotary joint provides higher transmission when used with a 590 nm LED light source, as well as greater stability as the fiber core size or NA changes. The raw data for the graphs can be viewed by clicking on the yellow bar below. Please note that the specifications of the RJ1 rotary joint are guaranteed only for multimode 0.39 NA, 0.50 NA, and dual-clad 0.22 NA fibers with core diameters ≥Ø200 µm. If single-clad Ø200 µm core, 0.22 NA fibers are used with the RJ1 rotary joint, performance specifications will not be met, as shown in the graphs below. For fiber with a Ø200 µm core size and 0.22 NA, we recommend using dual-clad fibers that have a TECS-based outer cladding, like the FG200LCC and FG200UCC, on the output (green data points) or both the input and output (blue data points). Details about the specific fibers used for testing can be viewed by clicking on the yellow bar below. Transmission through the RJ1 rotary joint was measured using a PM120D digital power meter with a S120-FC fiber adapter. The data shown below reflects the typical performance of the RJ1 rotary joint. Though variation in the performance of each individual rotary joint is expected, the specified transmission and rotational variance are guaranteed for the recommended core sizes, NAs, and cladding types. Data for Ø105 µm core, 0.22 NA fibers is provided as a reference, as these fibers are not within the range of recommended core sizes; performance with Ø105 µm core patch cables is not guaranteed. Plot of the output transmission as a percent of the total light input to the RJ1 rotary joint. The error bars indicate the measured variance due to rotation as the rotary joint spins. The joint was tested with three different configurations of Ø200 μm core, 0.22 NA fiber: single-clad for the input and output legs, single-clad input and dual-clad output, and dual-clad input and output. Best performance was reached when a dual-clad fiber was connected for the output. Comparison of total transmission through the RJ1 rotary joint (red) and a non-Thorlabs rotary joint (black) when used with a variety of light sources and patch cables. 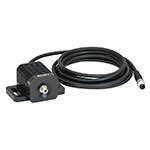 The RJ1 rotary joint provides higher transmission when used with a 590 nm LED, as well as more stable performance when used with a variety of patch cables. Fibers at the input and output of the rotary joints were single clad for all measurements except for the Ø200 µm core, 0.22 NA case, where dual-clad fibers were used. Hybrid patch cables are used to connect with our fiber-coupled LEDs; FC/PC multimode patch cables can be used to connect with our 473 nm benchtop multimode laser. These Ø105 µm core fiber patch cables are outside of the recommended fiber core diameter range. Data is provided for reference, and performance will vary from rotary joint to rotary joint. Both the input and output fiber patch cables are single-clad fiber with a Ø200 µm core and 0.22 NA. The input fiber patch cable is single clad and the output fiber patch cable is dual clad. Both have Ø200 µm cores and 0.22 NA. Both the input and output fiber patch cables are dual-clad fiber with a Ø200 µm core and 0.22 NA. 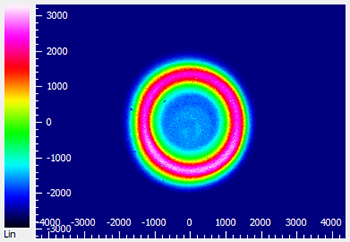 Typical transmission for the RJ1 rotary joint measured using different fiber-coupled LEDs and a PM120D power meter. Error bars indicate the measured variation in transmission due to joint rotation as it spins. This data is measured using Ø200 μm core, 0.39 NA fiber patch cables. Click the link for a spectrum and raw data. Thorlabs' fiber-coupled LEDs and drivers are well suited for integration into optogenetics experimental setups. During in vivo procedures, light from one or two LED sources is coupled into a fiber optic cannula, implanted in a specimen, where it is used to excite opsin proteins sensitive to the emitted light. 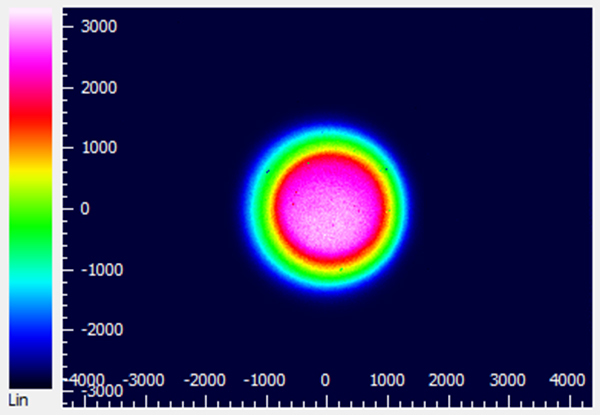 LEDs are commonly used for these stimulation experiments as they provide high-power output over a broad range of wavelengths and exhibit superior illumination homogeneity to lasers. The graph to right shows typical LED transmission through the RJ1 rotary joiny when different fiber-coupled LEDs (listed in the table to the right) are used as the light source. Patch cables using Ø200 µm, 0.39 NA multimode fiber were used for the input and output. Transmission through the RJ1 rotary joint was measured using a PM120D digital power meter with a S120-FC fiber adapter.